Extensive Knowledge and Experience – Established in 2014 B & M Air and Heating Inc has completed countless HVAC and ventilation projects for residential, commercial and industrial clients. This wide range of experience allows us to provide you with specific, knowledgeable and accurate solutions to ventilation issues, efficiently servicing your HVAC systems. Affordable Rates – Proper ventilation creates a healthy atmosphere in your home or office. 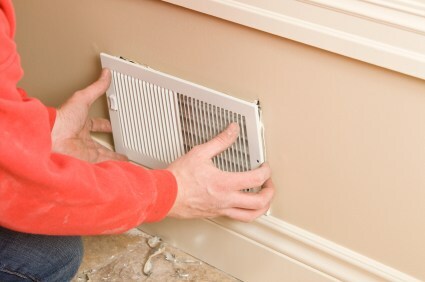 Let B & M Air and Heating Inc help you to maintain ideal air quality without breaking the budget. Our affordable prices include quality equipment and components, as well as expert technicians fully trained in the latest HVAC innovations and designs. Invest in optimum health by partnering with B & M Air and Heating Inc to install and service your ventilation systems. Reliable Service – B & M Air and Heating Inc provides prompt, professional service for every job. Our technicians are available at convenient times, including after-hours and in an emergency. Experience and training allow B & M Air and Heating Inc technicians to address any ventilation issue, offering dependable and affordable solutions. Regular ventilation maintenance prevents major issues and keeps your property comfortable and safe all year long. When you’re looking for an experienced, affordable and reliable HVAC technician, B & M Air and Heating Inc is ready! Call (323) 402-4203 today for an quote on all types of ventilation services.